My camera broke beyond repair this past February. I just purchased another and pictures will soon begin again! I love movies focusing on food. It seems the movie industry is making more of them. Or at least putting them out there were I can find them. Recently I watched The Hundred Foot Journey. With Helen Mirren, the French countryside, and Indian food that I have not yet learned how to master in the kitchen. A little bit of possible romance, camera closeups of chefs at work … why even the whisking of eggs in a glass bowl made me swoon. What’s not to love if you like a sweet (and sometimes sad) good story. And there was Chef. Jon Favreau was great, but I particularly enjoyed seeing Oliver Platt – one of my favorites. And John Leguizamo, whom I believe to be a terrific actor. For me it was a story about a man who appreciated his connection to food, the importance of sharing that connection, and the relationship he builds with his young son. A few years ago there was Today’s Special. Aasif Mandvi makes me laugh and I love to see the way he takes on a character, but here he also brought more than just laughter. Why was it not released on the big scale? Don’t know. Again, Indian food and the heart of food bringing people together. For me? Starting a pot of vegan creamy broccoli soup – making the veggie broth with all these goodies. The potatoes easily provide the creamy I adore. 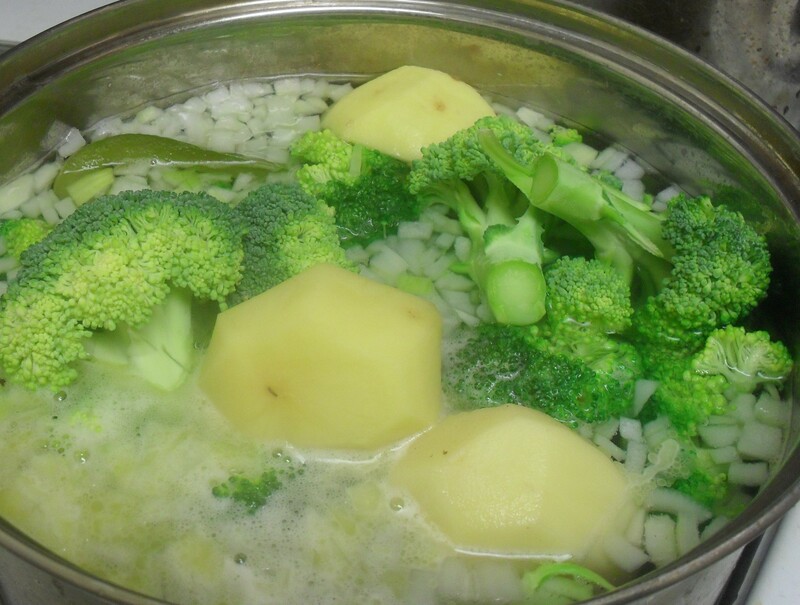 And after the creamy base is done, I add more fresh broccoli for the …. well, the fresh morsels of broccoli! I have many friends that enjoy Indian Food. I enjoy it myself, but not too much at one time. Why? Just too spicy. Sometimes too hot. I love food, but I like the flavors added to be more subtle. And my lack of desire for Indian food means that when a group of us decide to go out to enjoy a meal together, either I am miserable or they decide to go elsewhere – just for me. I don’t like either option. So I decided to start cooking a few dishes myself. Adding less (much less!) seasoning than found in most authentic Indian culinary delights. 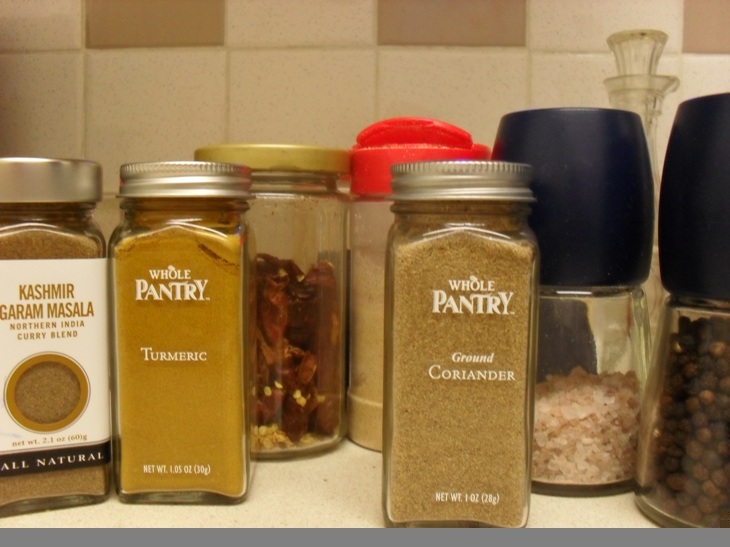 Then increase spices as time goes on. Maybe I can work my way up to the real thing? So, Regina, Danielle, Leo, Jason, Laura, Tara, and all the rest of my friends that love the Indian epicurious adventures – I’m in training! 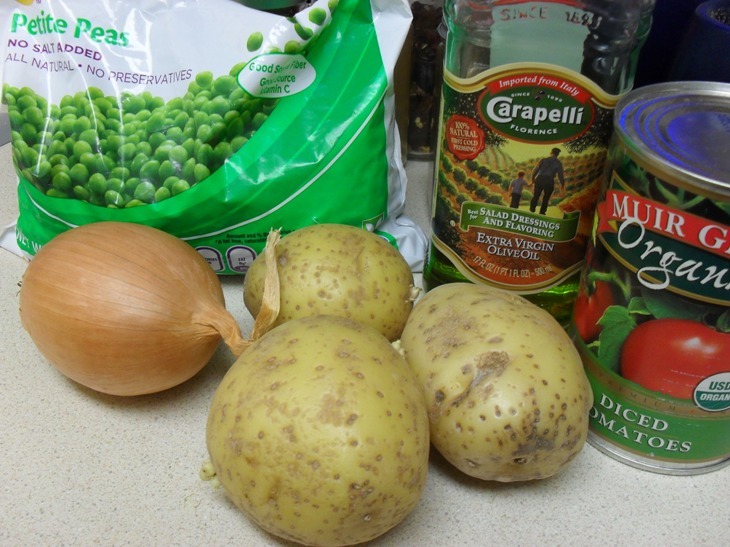 Yesterday I made vegan Alu Matar – peas and potatoes in an onion/tomato sauce. Oh my it was scrumptious! And I’m packing some for my dinner at work later tonight. There was also a yogurt/mint dressing to toss with seeded cucumber slices. OH MY GOODNESS! 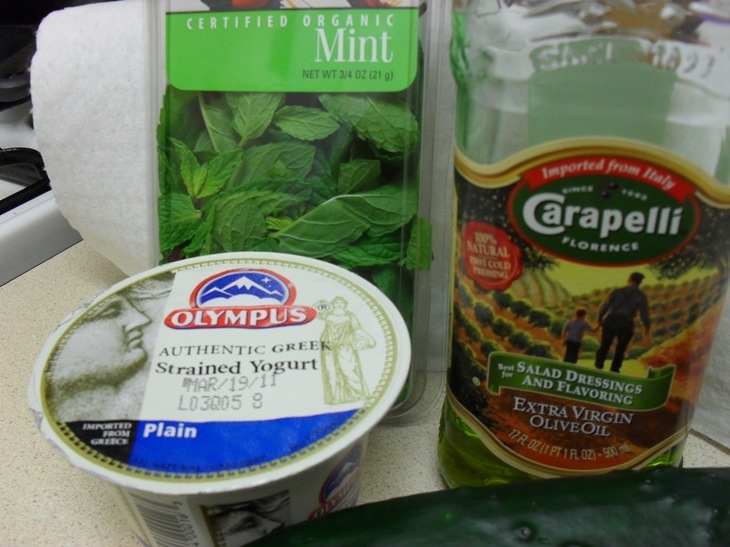 Who knew that plain yogurt mixed with mint, a little olive oil, and garlic could taste so amazing! Very simple – the most time spent was cutting up onion and a few potatoes. I took pictures of the finished dish, but they were awful. So instead I just have pre-cooking pics. Now all I need is my own tandoori oven and I’m set to dazzle all my foodie friends with my extraordinary culinary talents! Sigh….but I still to work on my lack of photography expertise.